Trophy black bears are what we are all about. 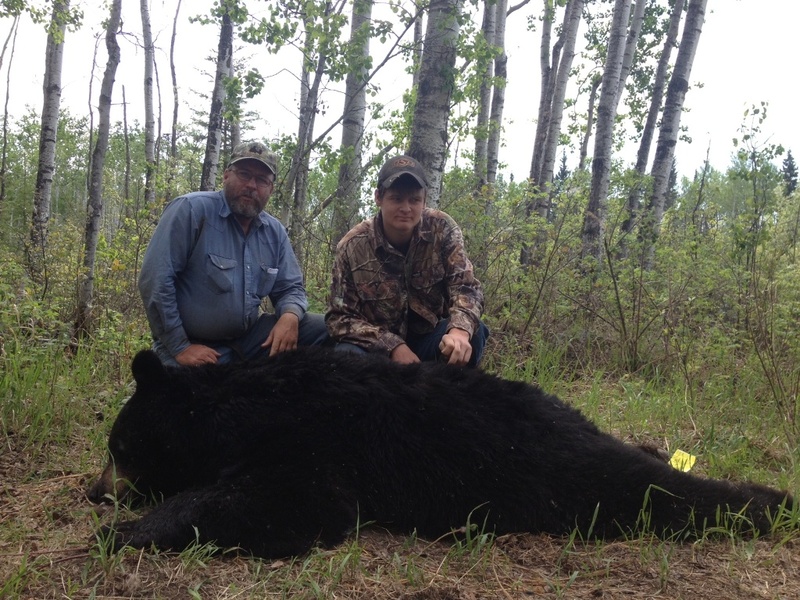 Our trophy black bear hunts take place in remote northern Alberta, Canada. This is one of the most untouched hunting units in Alberta. You won’t be bear hunting 200 yards from the road and you won’t be near other bear hunters. We get back there where the big ones live and we hunt them hard! The area is prime bear habitat and continues to produce huge bears thanks to excellent genetics, food and population. but can easily accommodate rifle hunters. We encourage to bring non-hunters and especially your young hunters. 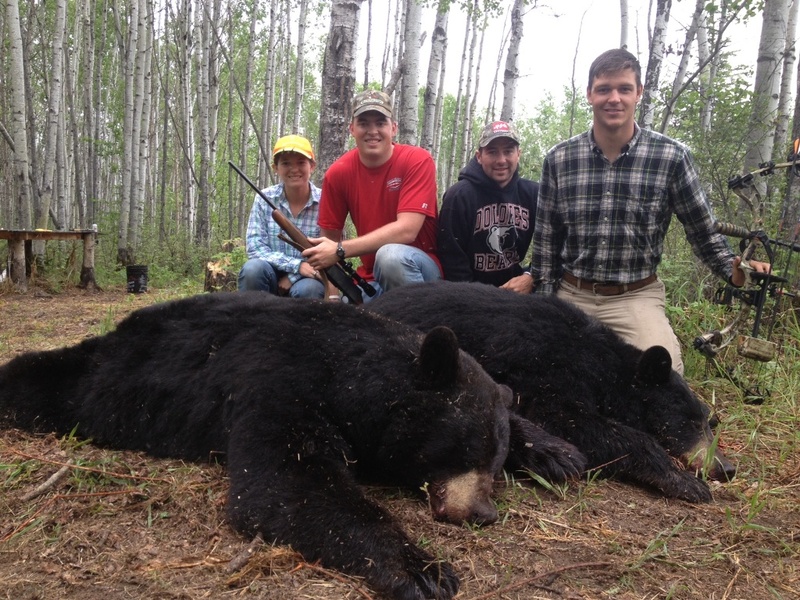 Bear hunting is an exciting hunt for first-time hunter. Our stands are built to accommodate at least 2 adults or film crew. Bear hunting over baits is a very successful way to harvest bears. To date we have achieved 200% success on a 2 bear quota. Six-foot bears are a regular occurrence and we do our best to put a seven-foot bear in front of you! You never know what comes strolling in to your bait!!! The bait sites are set up for bow hunters. We shoot at 15 yards. I like a clean, comfortable bait site and most of the stands can accommodate 2-3 people. Spot and stalk bear hunting is an exciting hunt. We hunt off of logging roads until a bear is spotted, then stalk it to within range. Baiting is not allowed in areas where grizzlies are present and so areas like these can yield some very good quality black bears because of the low hunting pressure.